Please call (412-421-4996) for specific serving instructions. 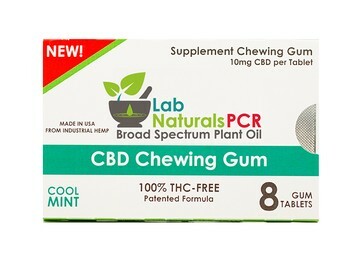 Ingredients: Gum base, Maltitol, Sorbitol, Xylitol, Isomalt, Hemp Oil (Aerial Plant Parts), Natural Flavors, Vegetarian Magnesium Stearate, Silicon Dioxide, Stevia. Sugar-free gum that delivers water-soluble CBD through the oral mucosa by chewing each piece for ten minutes. Many of our arthritic clients love this convenient and well absorbed product! Water-soluble products are better absorbed than oil-based products. General Serving Guidelines: Chew 1 piece of gum for 10 minutes. May be used in between PCR Liquid servings for extra relief.